I have a guest post up at 5 Minutes for Mom!! go see go see go see!!!! 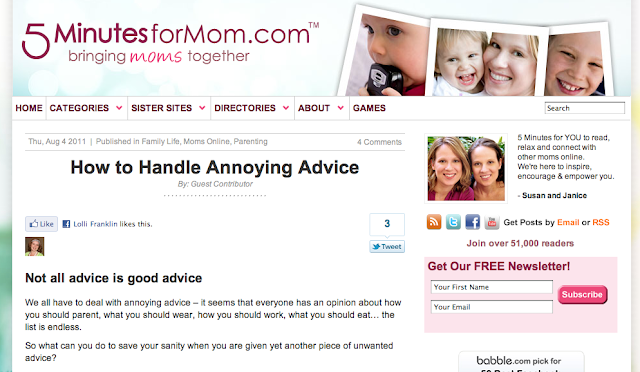 "How to Handle Annoying Advice"
Incidentally 5 Minutes for Mom is one of my most favourite sites and I absolutely adore Janice & Susan. It is a total thrill for my name to show up on their site :) . If you are not familiar with the site you should definitely check it out! !